The fundraising campaign for the Concrete Theatre Digital Conversion has passed the halfway mark toward its goal of $50,000. The combination of several fundraising events and the efforts and contributions of many individuals has resulted in just over $25,000 collected at the end of August. Theater owners Fred West and Val Stafford have been getting some fundraising help from community members, who have formed a fundraising committee and plan more events in September and October to help the theater raise funds to buy a digital projection system. The committee took the campaign online in August, setting up an Indiegogo account with the popular crowd-funding site at www.indiegogo.com/ConcreteTheatre?a=980665&i=emal. 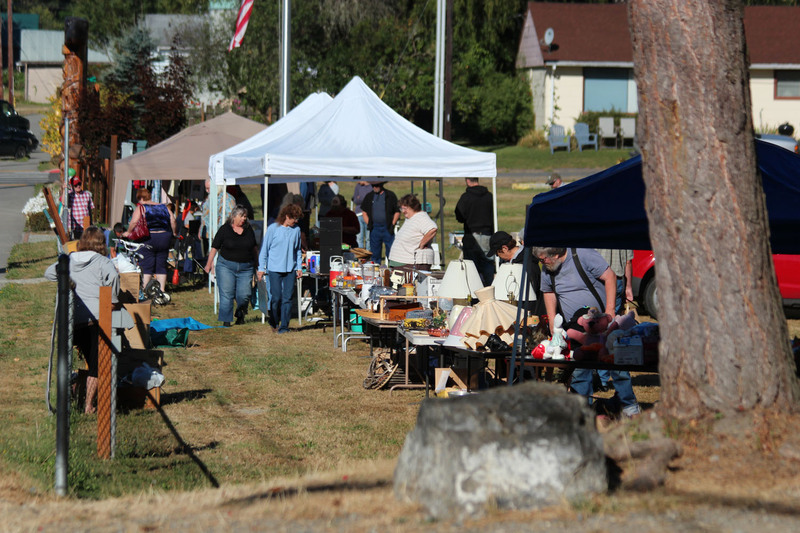 Committee members also held a massive yard sale Sept. 3 in Veterans Memorial Park in Concrete, using the tried-and-true strategy of selling donated items to raise funds. A T’ai Chi Chih course taught by Laurie Thomas of Marblemount will begin in September, offered as a fundraiser for the theater. Thomas has been an accredited T’ai Chi Chih teacher since 1997. The six-week course begins Tue., Sept. 11, from 7:45 to 9:15 p.m. at Concrete Theatre in Concrete Town Center. The course cost is $60 and will include the T’ai Chi Chih “Joy Thru Movement,” photo text, and “Spiritual Odyssey,” both written by the originator Justin Stone. For more information on the class, contact Thomas at 360.873.4210 or lthomas.wa@gmail.com. An Art Auction is scheduled for Oct. 19 at 7 p.m., at St. Catherine CCD Center and parish hall, featuring work by Pacific Northwest artists. West and Stafford learned earlier this year that movie studios in the U.S. plan to convert to an all-digital format by sometime in 2013, prompting all theaters nationwide to convert their projection systems from film to digital format. The “Donate to Digital” campaign began in April. A variety of fundraising efforts have been made since then, including car washes and special performances at the theater. Campaign-related events and contribution ideas are posted at www.concrete-theatre.com.